Jennifer (Hughes) Jellum, of rural Lexington, has announced her bid for the office of Lafayette County Treasurer. Jellum will seek the office as a Republican candidate on the August primary ballot. Jennifer is a 2002 graduate of Lexington High School, where she graduated with honors, served as Senior Class president and was a member of the National Honor Society. 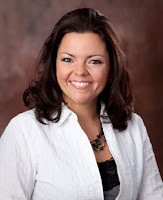 She is currently employed as the City Collector in Lexington, the Lafayette County seat. Jellum has worked for the City of Lexington since 2006. In her current position of City Collector, some of her responsibilities include receiving, recording and balancing of utility payments, personal and real estate tax revenue from the Lafayette County Collector’s office, franchise taxes, FIT tax and sales tax revenue. Prior to her employment at the City of Lexington, Jellum was employed at B & L Bank and Bank of America, for four years. 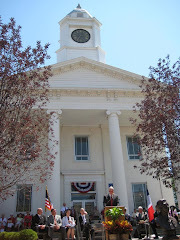 During her tenure as City Collector, Jellum has, among her accomplishments, implemented new software for utility billing to comply with the recommendation of the City’s Auditor, researched and approved the contract between the City of Lexington and Lafayette County, which allows the County to collect City taxes, thereby increasing revenue to the City, and reducing the number of delinquent and uncollected taxes. Jellum also researched and assisted in the development of the City’s Web site.